Governor Abiola Ajimobi of Oyo state has announced a N5million reward for any member of the public with credible information that may aid the arrest of the three gunmen responsible for the murder of Hon. Gideon Aremu, a member of the Oyo state House of Assembly. This was disclosed in a statement made available by Yomi Layinka, the special adviser to the governor on communication and strategy, on Thursday, July 7. A copy of the statement obtained by The Nation also shows that Governor Ajimobi has appealed to members of the public in possession of any useful information to immediately contact the following telephone numbers: 0802 343 1079, 0803 653 6581, with assurances that such tips would be treated in the utmost confidence. According to him, the death of Aremu shattered the calmness Oyo state had enjoyed in the past five years, hence he is prepared to reward anybody with clues that would assist the police to apprehend the culprits and their sponsors. 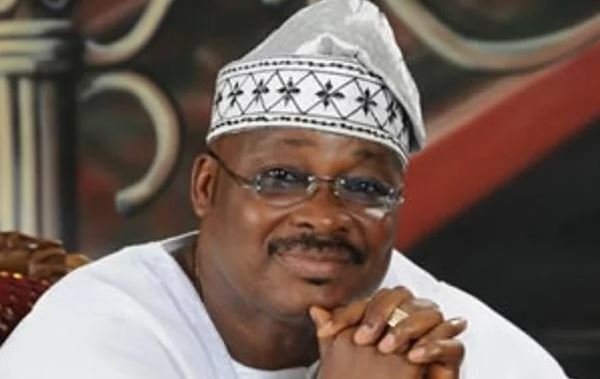 Ajimobi said: “This is to further demonstrate the government’s commitment to the on-going investigation of the immediate and remote causes of the murder of the parliamentarian who was allegedly gunned down in front of his home in Alakia, Ibadan. “The governor, once again, wishes to reiterate his administration’s relentless pursuit and defence of the security of lives and properties of all citizens of Oyo state, without let or hindrance. “The government wishes to assure such volunteers of absolute secrecy, confidentiality and protection of the law. Please, help to find those behind the murder of Hon. Gideon Aremu so that he and his family can get justice, and on time too.” Ajimobi promised members of the public that the police and other security agencies would not relent in their efforts at maintaining peace and orderliness, and assured the deceased family that a team of homicide officers were already working hard to apprehend the suspects. Aremu represented Oorelope constituency in the House of Assembly until he was murdered on July 1 by three gunmen that allegedly trailed him on motorcycle. A source said the gunmen trailed the lawmaker to his residence in Egbeda local government are of the state before pumping several bullets into his body.